Switzerland is known all over the world for its excellent education. However, education in Switzerland is quite diverse. There are many different types of both private and state run schools that vary a lot from region to region. It is essential to look at all aspects of the systems available for you before picking the right school for your child. If you are moving to Switzerland, it is important to consider the canton you are living in or the canton the school is in. Each canton is given its own authority over its state school system. Thus, in state schools, there might not only be linguistic variety, but also some curriculum changes between regions. » Read our blog article on education in Lausanne. There is a wide range of private educational institutions from I.B. programmes and international schools, to Christian schools and schools following educational philosophies such as Montessori or Steiner/Waldorf. Each of these systems offers a very different kind of education. 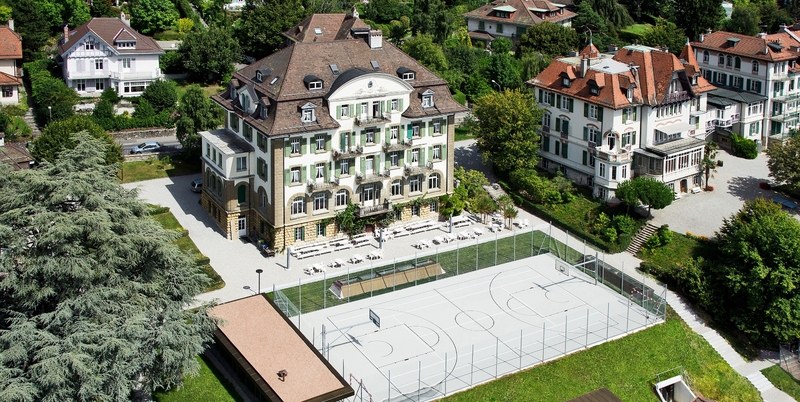 Switzerland has a very high number of private international schools. These schools are very popular because they bring together people from all over the world and provide a broad and culturally rich education. Furthermore, international schools will be more consistent than state schools across the country. They tend to adopt a curriculum such as the International Baccalaureate or the Cambridge International Examinations, that is accepted all over the world. International schools often prioritize English or other international languages instead of the local tongue. This allows for an education that will open up opportunities for the students at universities and institutions of higher learning everywhere. Furthermore, because English is often used in the international school classroom, students whose first language is not German, Italian, or even French, can be easily integrated. While state schools in Switzerland often reflect the local culture and traditions and utilize the regional dialects, international schools promote a diverse exposure to cultures and languages from all over the world. The student body can thus at times be more multicultural at a private school. Finally, international schools like Brillantmont are able to bring in teachers and staff from all over the world to enrich the life on campus both in and out of the classroom. 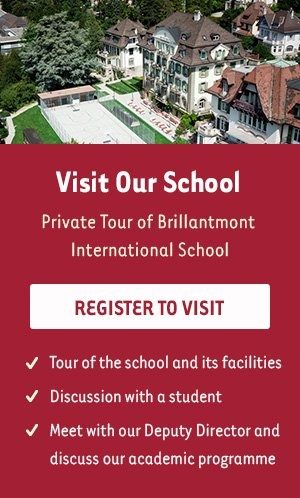 Unlike the state schools and many of the smaller, less internationally minded private schools, institutions like Brillantmont demonstrate first-hand how the world can be your classroom, taking advantage of people and experiences no matter where they come from. For more information on the Brillantmont middle school program, click here. In addition, if you have any further questions about any aspect of our international school or the Swiss system, please feel free to contact us online via our contact form.